Three decades on, the film’s co-stars ‘wax on’ nostalgically over their experiences. It certainly was a memorable year, as 1986 was the year of the Chernobyl nuclear plant and Space Shuttle Challenger disasters; President Reagan and the U.S.S.R.’s Communist Party General Secretary Mikhail Gorbachev’s summit in Reykjavik, Iceland; Mike Tyson at 21 becoming the youngest man ever to win the heavyweight boxing championship; Los Angeles Dodger Fernando Valenzuela pitching 20 wins; Ferdinand and Imelda Marcos fleeing the Philippines; the national debut of a daytime talk show featuring Oprah Winfrey; the launch of the Fox TV network; and in theaters “Gung Ho” and “Big Trouble in Little China,” a couple of movies threaded with Asian American storylines. 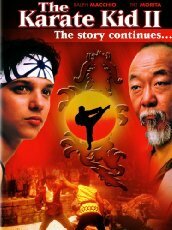 Another movie with Asian American subject matter from 1986 was the sequel to the charming “Karate Kid” movie from two years before. Ralph Macchio and the late Pat Morita reprised their roles as student Daniel LaRusso and karate teacher Mr. Miyagi, respectively. That hero was, of course, Mr. Miyagi, the humble handyman who also was a Medal of Honor-winning member of the 442nd Regimental Combat Team and karate sensei who served as a surrogate father to his student, Daniel-san. Greenlighted after the unexpected success of its predecessor, “The Karate Kid: Part II” would best the original in boxoffice receipts, with domestic grosses of more than $115 million in its theatrical run, making it the No. 4 highest-grossing movie of the year. Thanks to a change in venue from Reseda, Calif., to Miyagi’s childhood home, Japan’s Okinawa prefecture — with Hawaii filling in for the Ryukyu island — the movie was also significant for launching the careers of a pair of Japanese American actors who are still active in the business to this day: Tamlyn Tomita and Yuji Okumoto. More than 30 years later, the roles they both played in the hugely successful movie still loom large in their respective lives and careers. 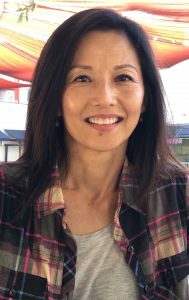 Tomita, who was coming off serving as the 1984 Nisei Week festival’s queen, remembers being approached by a casting director about auditioning for the role of Kumiko, for which she was one among many who tried out. “I keep running into, to this day, other actresses who also went up for the role,” Tomita said. Fortunately for Tomita, she got the nod, and she is still in show business, having recently finished working on “The Ningyo,” set for a 2017 release. But had she not participated in Nisei Week and become that year’s queen, which raised her profile enough to be approached to audition, Tomita says she likely would now be teaching middle school students at a school near her San Fernando Valley home and taking care of her mother. Okumoto, meantime, is also still involved in show business. 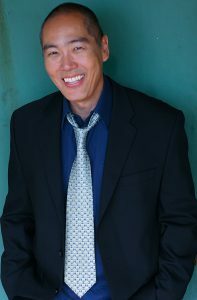 His list of credits on his IMDb.com page over the subsequent years include appearing in dozens of TV shows and movies (2010’s “Inception” is one of his bigger recent credits), including voice-over work in animation ­— but not from Hollywood. The Los Angeles native currently resides in Seattle, where he is raising three daughters with his wife, while also running their restaurant, Kona Kitchen. Okumoto says he still gets recognized for “KKII” by people who saw the movie 30 years ago — but there is also a younger demo (that he noted are people who are now in their 30s) for his role in the 1999 Disney Channel telefilm “Johnny Tsunami,” which he notes was, at the time, that network’s biggest hit. Both Okumoto and Tomita have fond memories of “KKII” co-stars Morita, who died in 2005, and Danny Kamekona, who died in 1996. Tomita credits “Uncle Pat” and “Uncle Danny” for helping her with her big-screen debut, along with Nobu McCarthy, Joey Miyashima and Marc Hayashi, as well as Macchio and Okumoto, for helping her with the process, and says she tries to carry on that magnanimous attitude toward young acting talent whenever she can. Okumoto also remembers while they were shooting “KKII” how Morita and Kamekona invited him to come out to Waikiki one night — and they stayed up until 4 a.m. While Tomita is happy to continue to act for as long as possible, she’s doesn’t feel she has the right aptitude to try another part of show business: producing. Okumoto, however, has embraced it. “I enjoy the process of putting pieces together,” he said. Both Tomita and Okumoto also had roles in Awesome Asian Bad Guys. Okumoto recently directed and starred in a short film called Black Thread that has been making rounds at the Asian American film festivals.